Johnny Capp is "The Man in the Know" The Sports Handicapping Legend Knows the "In's & Out's" of the Vegas Sportsbooks. If There is a Giant Bet Made by one of Vegas' High Rollers then Capp has the Scoop! 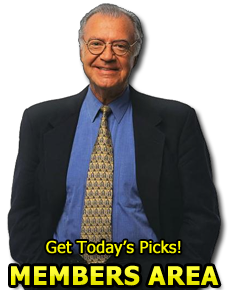 Stop Throwing Your Money at Your Bookmaker Each Week - Get on the Inside with Johnny Capp & Start Gambling Like a Professional! Let 20 PlusYears of Professional Handicapping Go To Work For You!